Home / BLOG / HVAC Repair or Replace? If you feel that you always have to adjust the temperature of your home to stay comfortable, your unit is making noise when turned on or the air feels stuffy and damp, it’s time to consider either replacing or repairing your HVAC (heating, ventilation, and air conditioning) system. The choice between repairing and replacing can seem daunting, especially in emergency situations. There’s a lot to consider when making the decision, as you may feel it’s too soon to be replacing a system, or you’re not sure which choice will make the most sense financially in the long run. While the choice will be up to you and the state your HVAC is in, here are some things to take into consideration. Furnaces have an average lifespan of 10 years, and boilers of 15 years. If your equipment has exceeded its lifespan, or it’s coming near to doing so, it might be best to replace it, as frequent repairs are most likely in its future. It will end up costing you extra in energy costs as well. You can also use the 5,000 rule, by taking the age of your equipment and multiplying it by the repair cost. If the number is above 5,000, consider a replacement. An example is a furnace that is ten years old, with a $350 repair bill. That would give you 3,500, which means it would be fine to fix the unit. If your HVAC isn’t up to the performance demands during winter and summer and has had multiple breakdowns in the past years, it’s probably best to think of replacing it. In most cases, continually repairing a faulty system ends up being more expensive over time than the purchase and installation of a new unit. A good way to check if the investment will be worth it is for you to add up all the repair bills from the last few years and compare that cost with the expense of a new unit. Also, take into consideration the energy savings your new unit will provide and that your new system will be under warranty, saving you in repairs. This calculation will give you an idea of whether it’s worth it to invest in a new HVAC. Some sounds coming out of your HVAC are normal. However, if it becomes excessively noisy, emits sounds you’ve never heard before or emits a strange smell, it could be in need of a repair. If the repair is expensive, consider the cost rule described above, as it may be a better idea to replace it. • Cost savings: upgrading can save you from 20% to 40%, depending on the age of your unit. • Tax incentives and utility rebates: Many companies offer incentives for upgrading to energy saving systems, while tax incentives can provide a saving of up to 30% on the cost of a new unit. • Air quality: Newer HVAC systems reduce mildew and mold growth. • Energy footprint: About 50% of the energy use in your home comes from your heating and AC unit. 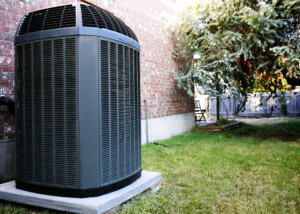 When you upgrade to a newer HVAC system, you will be meeting the energy efficiency standards. So, before you shell out more cash on a repair, consider carefully the advantages of investing in a new system and whether that’s the best option for you.